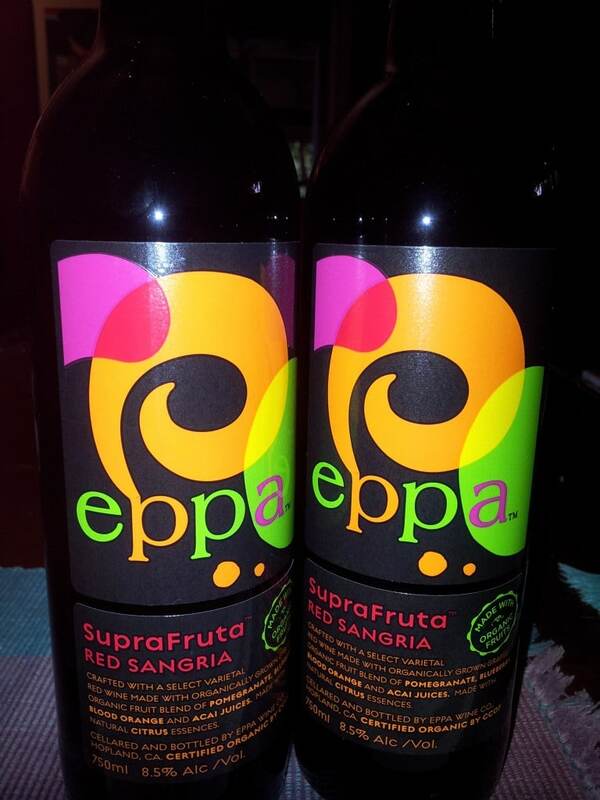 Last night my friends and I had the opportunity to taste test Eppa SuperFruit Sangria thanks to Danielle from The Baddish Group. It’s the first certified organic superfruit sangria made with Mendocino Cabernet and Syrah and organic fruit juices, drawn from antioxidant-rich superfruits. Those fruits are pomegranate, blueberry, Mediterranean blood orange and acai berries. The superfruit adds twice the antioxidants as a glass of red wine. In case you were wondering, one full glass of Eppa has 120 calories. Their website has a store locator or you can order it online. I can get it at my local Whole Foods. You can serve Eppa SuperFruit Sangria over ice in a wine glass, or pour into an ice filled pitcher with fresh fruit slices. 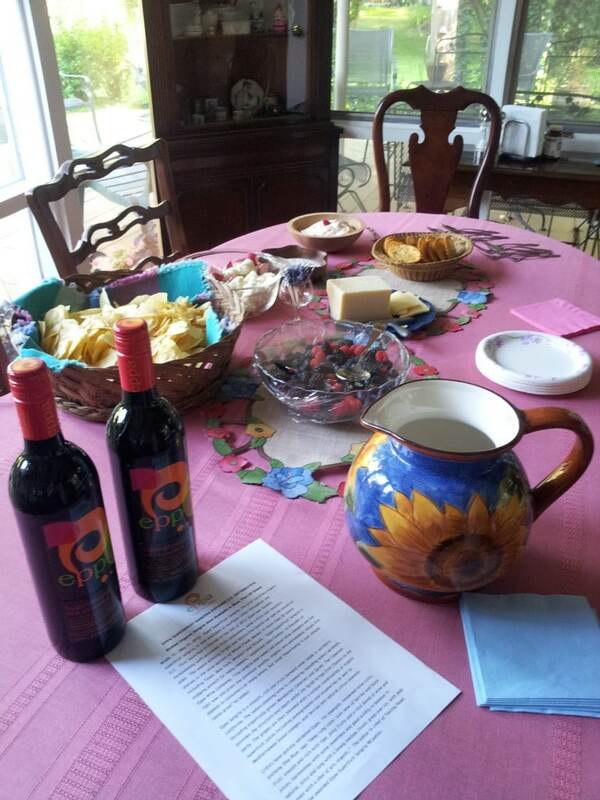 Here’s the table for my Eppa SuperFruit Sangria Girlz Night Out set and ready. Chips, crudites, dip, cheese, crackers, mixed berries are some of the appetizers I served. I also prepared Greek meatballs – Keftethakia – before hand with mint from my garden, ground lamb, green onion, bread crumbs, egg, salt & pepper. 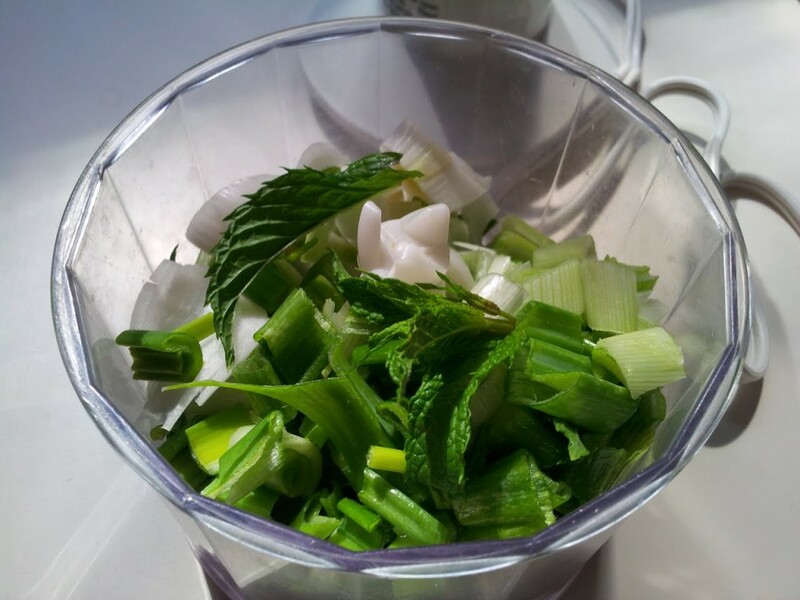 I just give the mint & onion a whirl in my mini-processor to save time chopping. 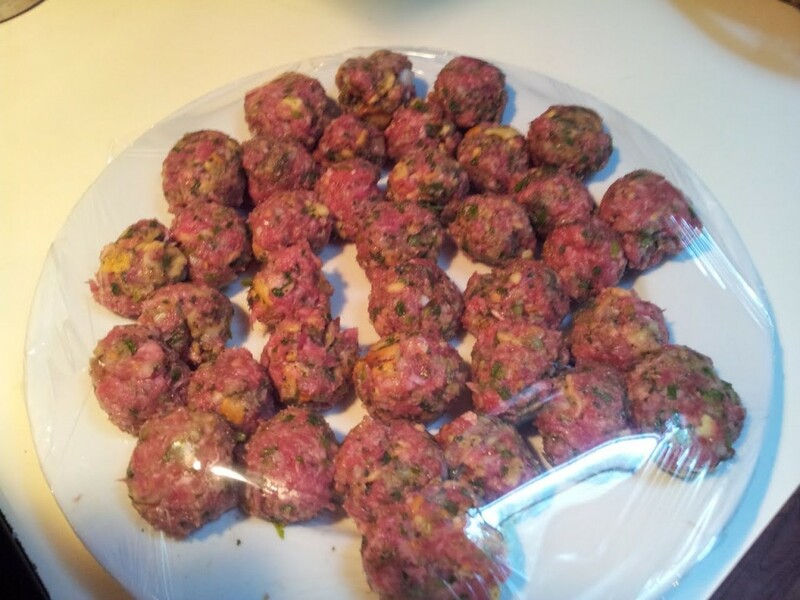 Greek meatballs – Keftethakia – were rolled, chilled, ready for the grill and waiting for Girlz to arrive at 7PM. Yianni sauteed them for me in a grill pan on the BBQ. Here’s a little secret: I just discovered these in the frozen food section at Restaurant Depot. 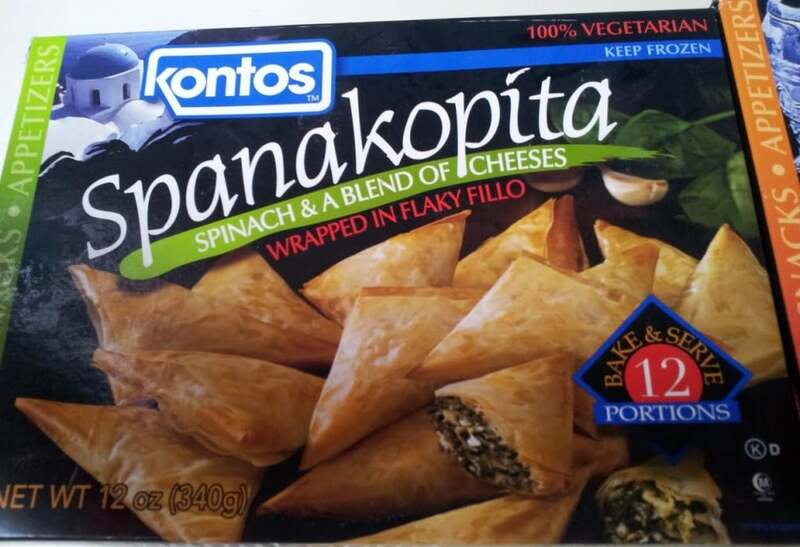 Kontos Spanakopita is quick and easy and a great appetizer with cocktails. 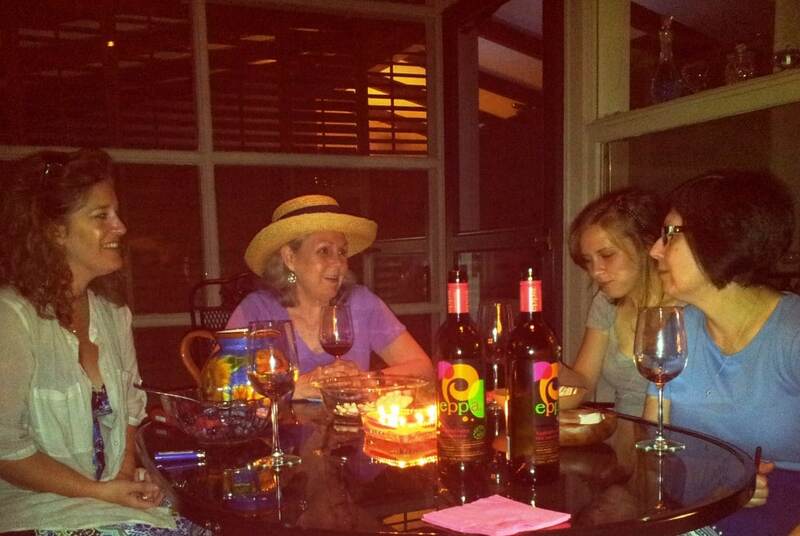 It was a lovely night for hanging out on my deck with my girlz. Sundown was well after 9PM and the party was still going strong but both bottles of sangria…. gone. Everyone loved Eppa SuperFruit Sangria. It all looks so yummy – particularly the meatballs!